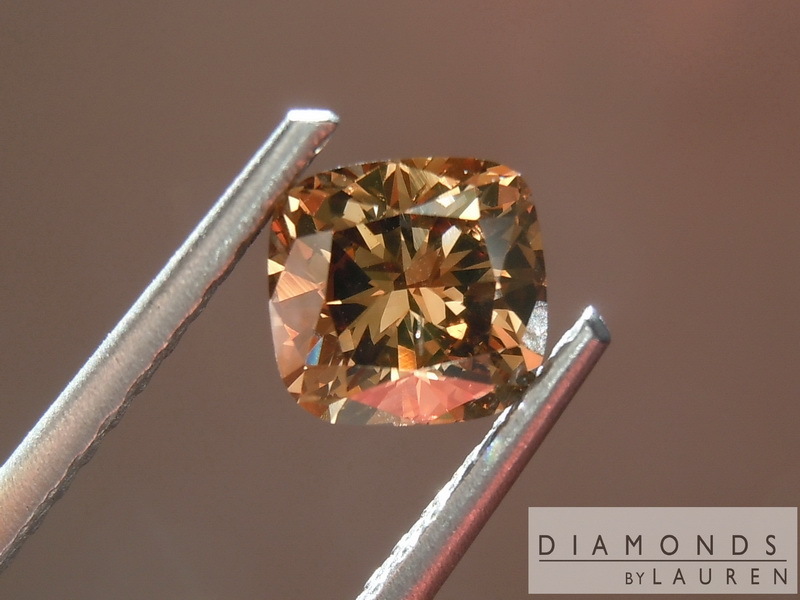 We selected this particular diamond because the color is simply over the top stunning - it is ....vivid. 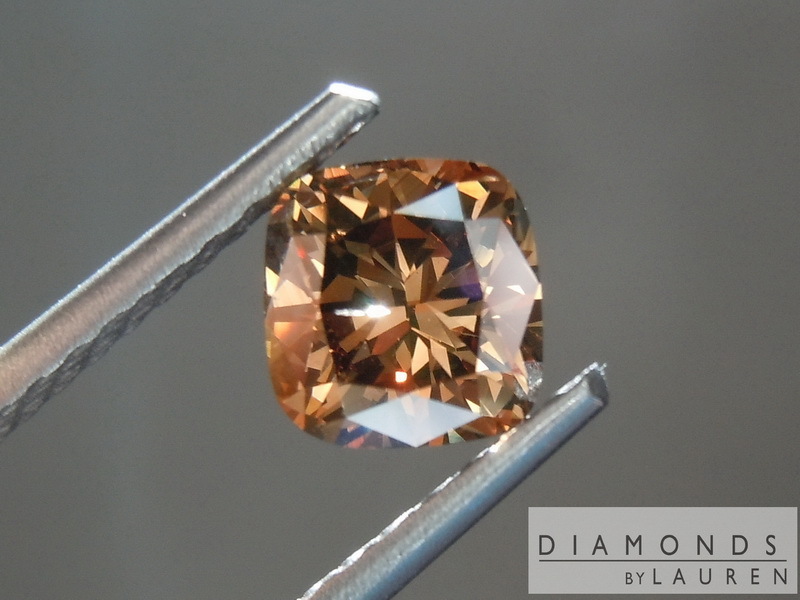 I cannot, as a dealer with a conscience, actually call it a Vivid Brown because GIA does not issue such a grade. However, the color really jumps out at you. It has this amazing combination of massive depth of color, yet it is brilliant. 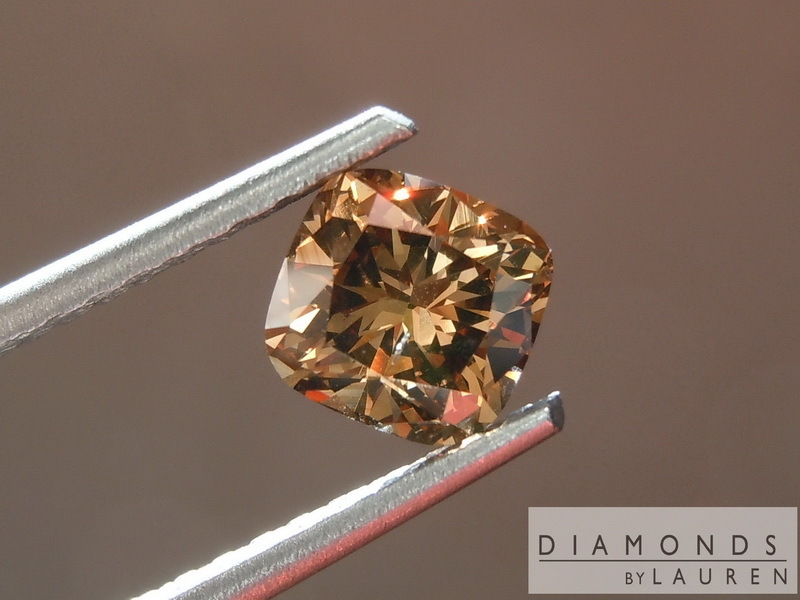 Speaking of GIA, we do not send these stones to GIA because the report is $159 - and we do not want to add that to the price. 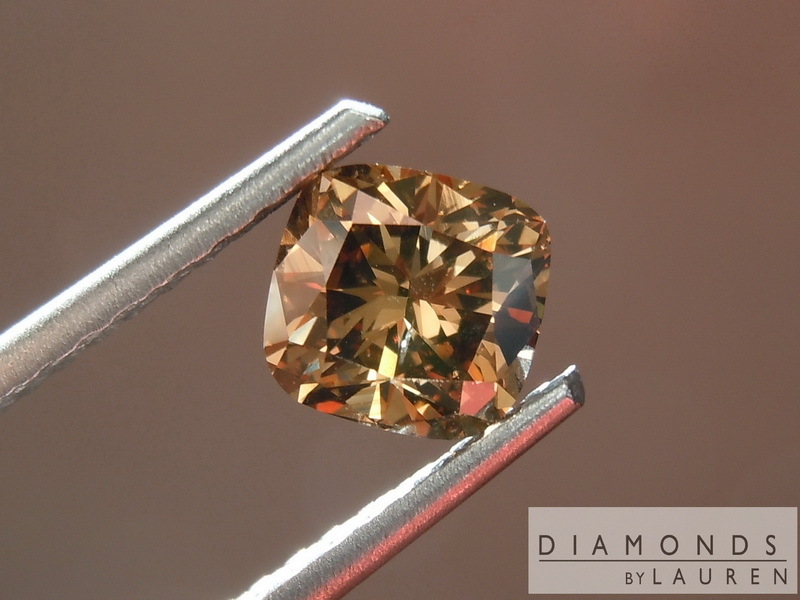 However, if you would like us to submit, and do not mind paying the $159, we will submit the stone. 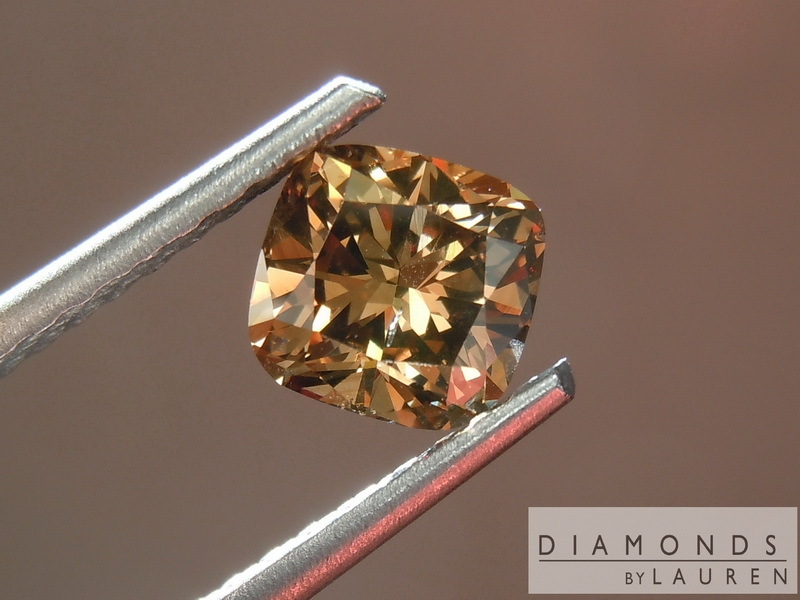 If you do not like the grade, or return the diamond, we will give you back the $159. 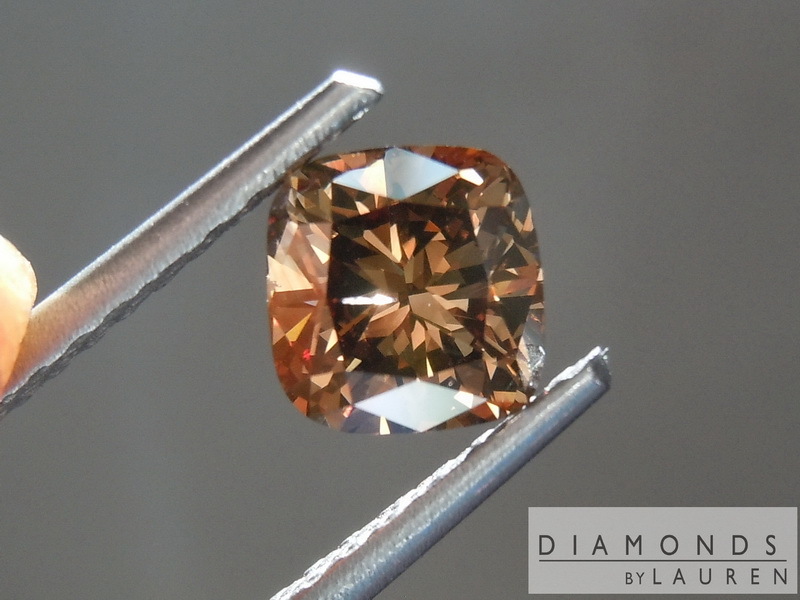 I graded this diamond I1, although it's a possibility GIA would grade it SI2. The reason is that I can see the imperfection at times. Not that it's any bother, but I can pick it out in certain, bright lighting. Really nice cut on this one. It is pretty much like a colorless cut diamond - trim faceted girdle and nice small table, which I estimate low '60's for the table. 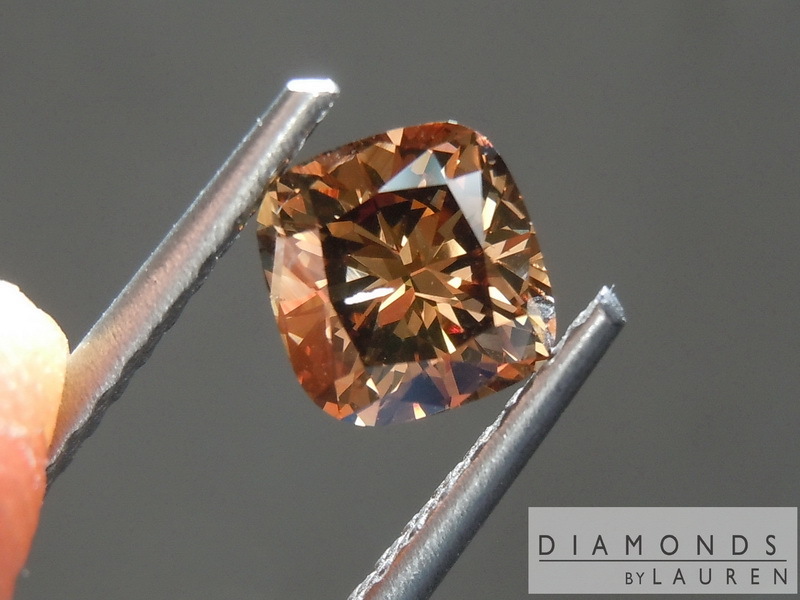 Pick your setting... pink diamond halo? Maybe?